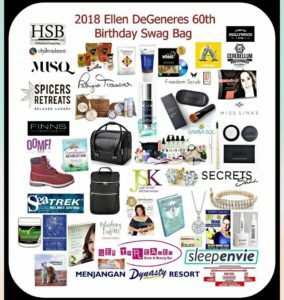 In honor of Ellen DeGeneres 60th Birthday on January 26th Hollywood Swag Bag is gifted Ellen these amazing Australian Brands!! Introducing our 2018 Four Seasons Hotel Swag Bag in honor of SAG Awards Weekend. Congratulation to all of the brands that were selected to take part! 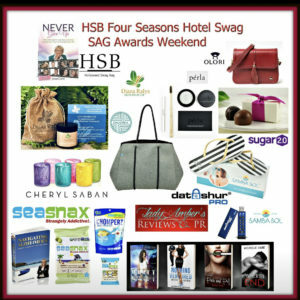 Introducing our amazing Hollywood Swag Bag for Four Seasons Hotel honoring Golden Globe Weekend! Congratulations to all of the amazing brands that are taking part!! !